Jo_11- Travail de joaillerie, assemblage. / Jewelry work, assembling. 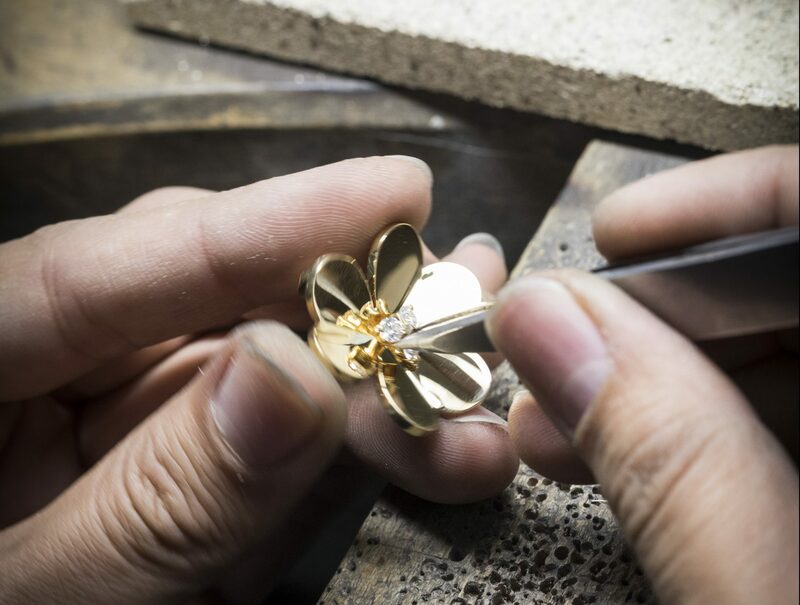 Van Cleef & Arpels‘ resolute dedication to superb craftsmanship doesn’t go unnoticed. The brand has an eye for the tiniest details, using only the finest of materials and gemstones. 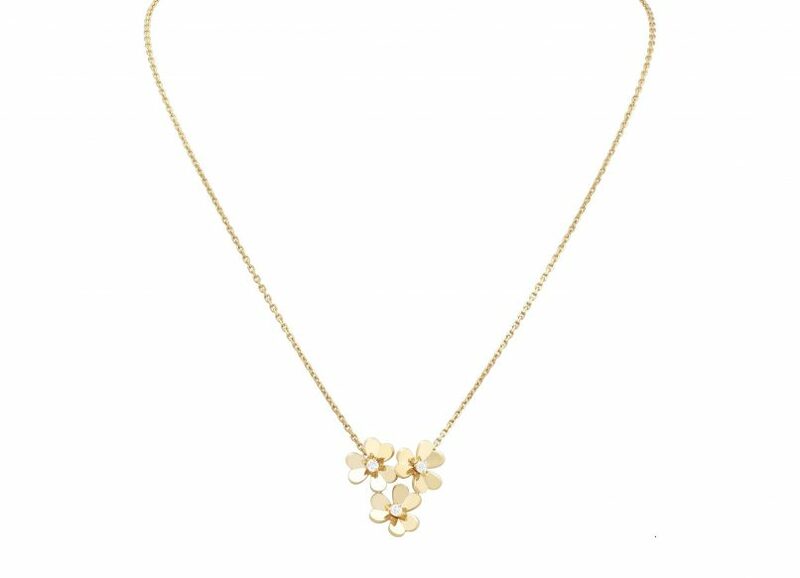 This spring, the brand goes back to their key source of inspiration: florals, and have expanded their Frivole collection with more shimmering flower pieces. The additions take on a new feminine aesthetic, associated with three miniature motifs. These new creations pay tribute to the vitality of nature and its random character, which is beautifully reflected in the designs. Out of the nine new yellow gold pieces in Van Cleef & Arpels‘ first launch of 2018, what stands out is one particular design with a 3-flower aesthetic inspired by the central motif of the 8-flower Frivole ring. This new motif creates an impression of lightness and poise, featuring a trio of dainty flowers made up of Frivole’s iconic heart-shaped petals with a sole diamond nestled in the middle. A new transformable pendant is also introduced in the collection, which doubles as a clip. 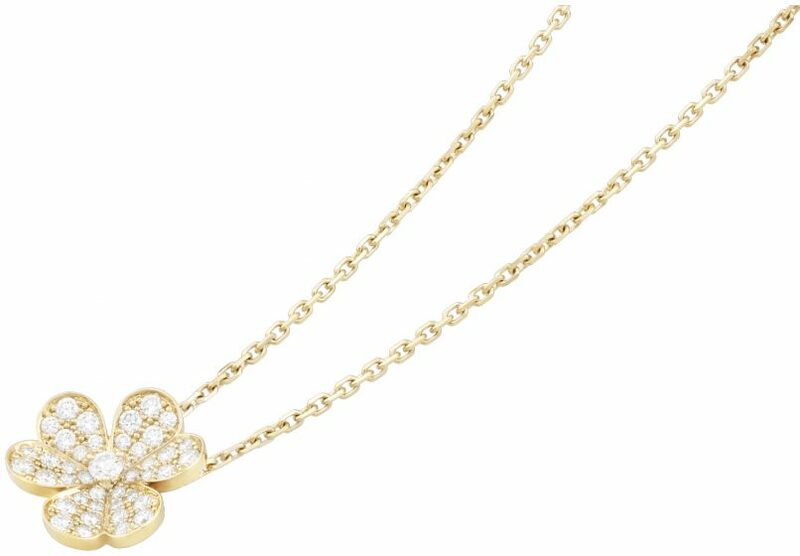 Like the other pieces in the range, the pendant features three heart-shaped petals but in the middle is a row of diamonds nestled between the petals’ mirror polishing. The piece is also designed as a ring but with a single diamond. Meanwhile the Frivole mini model creations — specifically the mini model pendant, earrings, and bracelet introduced last year now comes adorned with diamonds that blend with the yellow gold sparkle. The diamonds that were expertly picked by Maison’s experts offer a dazzling accompaniment to the delicacy of the miniature motifs. The new Van Cleef & Arpels Frivole collection is now available at Starhill Gallery.